Our Classrooms Why does Montessori have multi-aged classroom? Multi-age classrooms afford us the luxury of adapting the curriculum to the individual child. Our Infant Community compromised of children aged 12 months to 3 years and our “Pre-school” or “Early Childhood” Montessori classroom compromises children aged 3 to 6 years. This multi-age, and co-educational, environment allows children to act as role-models and teachers to one another. The diverse curriculum and environment ensures that all children will feel the “masters”, or role-models, of some aspects while experiencing the feeling of being the “students”, or admirers, of their peers in other areas. For children six and under, Montessori emphasizes learning through all five senses, not just through listening, watching, or reading. 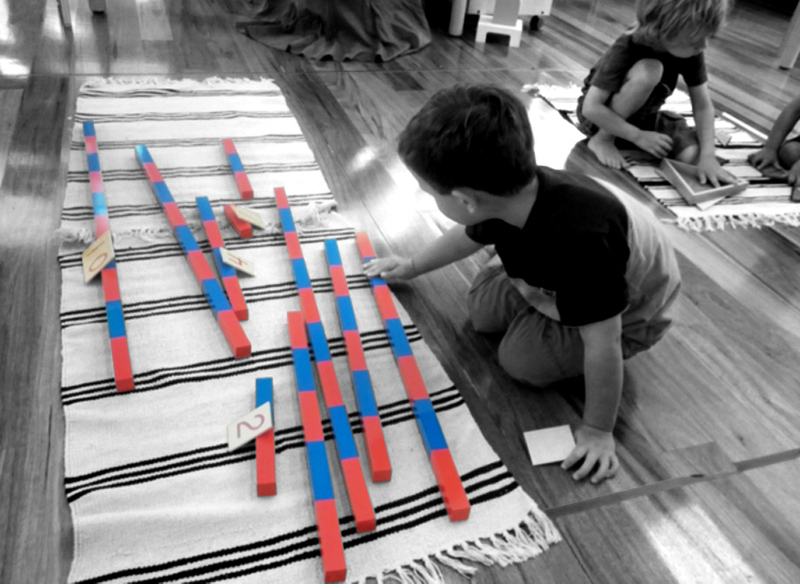 Children in Montessori classes learn at their own, individual pace and according to their own choice of activities from hundreds of possibilities.